It gets me every time. The departure from the world, the grape-filled days and nights, the split fingers and the aches and pains. 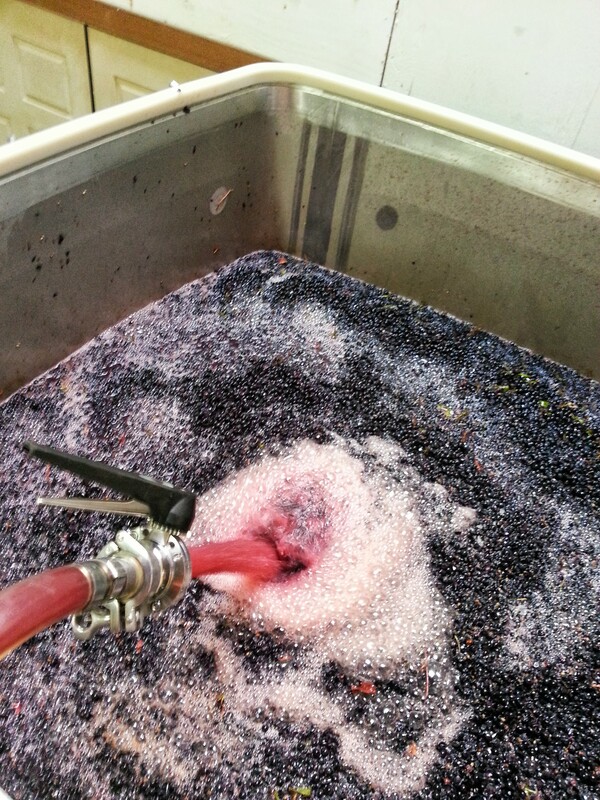 This harvest is its own peculiar whirlwind, with wineries plowing through tonnage at an insane pace. A few weeks back, I noted that all of our vineyards were hovering around a 20-Brix ripeness point. At the time, we were nervous about tank space – nervous about getting finished wine bottled in time for the bulk of our production to come in. But it all happened so fast and suddenly everything was ripe at the same time. We processed 75 tons in ten days, which is to say more than our entire production from the vintages of 2009, 2010, and 2011 (not combined, obviously). When everything comes in at the same time, everything is fermenting at the same time and we’ve been plugging through hours of pumpovers and punchdowns everyday. In more even-keeled years, fruit comes in stages and tanks get turned over at intervals – some tanks are still cold-soaking fruit; some tanks are actively fermenting; others are nearly dry; and some have already been emptied and will soon be filled again. With every tank and 1-ton portable fermenter full, we were looking at the weather and wondering, all over again: would we have enough space? And then the weather tapered off. The temperature came down. The fruit stalled out. While many vineyards had jumped 2 Brix in the space of a week (that’s serious movement), suddenly nothing was moving over a week or more. It was a relief. Now it looks like we’ll have every tank empty before we get fruit again. The end result of all tanks being active simultaneously is that all tanks are dry nearly simultaneously. 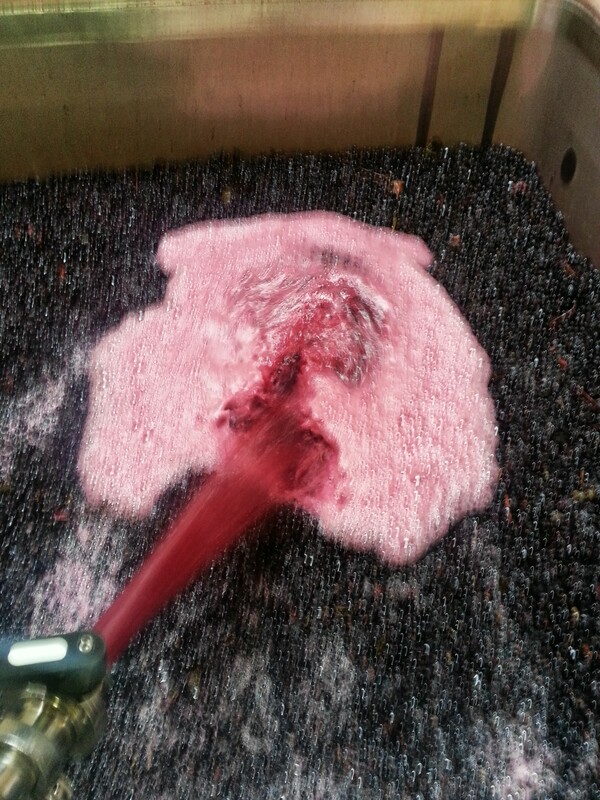 We are under a mountain of dry red grape skins. And barrels. I have spent hours upon hours, every day, pulling barrels to be prepped for filling. 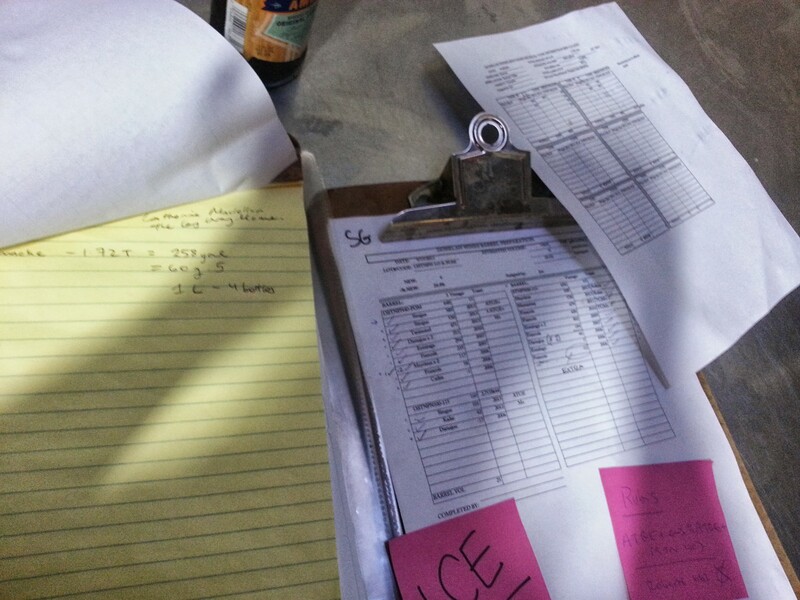 Joe selects barrels for each batch, hands me a list, and I disappear into the treacherous cave that is our heavily overburdened barrel room, and emerge several exhausted hours later with a stack of barrels. My time on the forklift has increased by an inestimable degree since assuming this new position. Prolonged forklifting is a significant energy sap. Corners are tight and everything is in the way. I jump on and off a zillion times, pallet jacking furiously in between to get everything where I need it. My head swivels around continuously, which only exacerbates frustration and fatigue. The upside to all this is that my forklifting skills are getting ninja-fied, which I was due for, and that my Tetris muscles are flexed. I have a mental map of the barrel room that is more useful to me than any single tool I use. Sometimes harvest can create the sensation that normal life is suspended. The mornings start before dawn and end sometimes close to dawn. I get to feeling out of the loop. There was a shooting in Washington? Miley Cyrus did what, exactly? When did gas get more expensive? I’ve just been pressing the 89 and driving away when it’s full, the gas station looking identical at 6 am and 10 pm. But life is still there. Bodies are still bodies. In a predictable, unpredictable freak kitchen-cabinet incident, I found myself at the emergency room with a minor concussion. We were harvesting 10 tons of Obsidian Vineyard the next day and I wanted to come in. I felt groggy and stuck to sorting fruit and making lunch. By 8 pm it was clean-up time and I found my second wind as I tackled the destemmer and sang along to Paul Simon. It felt about aright. 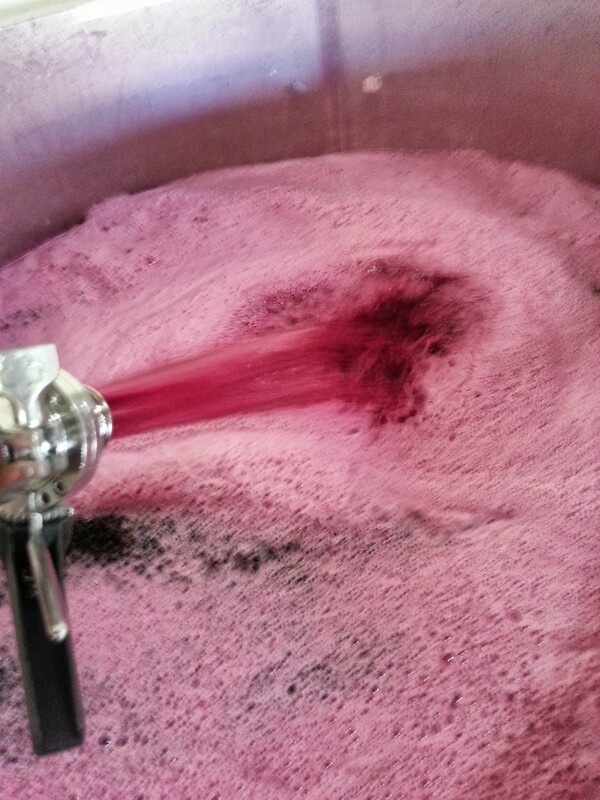 Instead of dreading the monotony or sweatstorm of twice-daily pumpovers and punchdowns, I find I jump at wine work – which is the reason we’re all here. You can move barrels all day but they’re nothing without the wine going in them. I remember the feeling of occasional idleness from harvests pasts – of hiding twiddling thumbs by carrying a bucket. That never happens now. I’m just . . . busy. There’s always a list this long of things I still need to do, check, ask about, finish, remember, and end up pushing off til tomorrow – again. Ferments and barrels and everything else move around a lot but I keep track of them better than I ever used to because I’m the one moving them. I notice when things are dirty, out of place, being misused, being missed, forgotten, and found because I know it’ll be my problem in 20 minutes, when I need something. We’ll be focusing on red pressing all week. We’ve still got 50 tons left in this harvest, which seems like small change now. And let’s call a spade a spade here – this post probably sounds tired. It is. I am. But some of our best fruit is still to come and it doesn’t know we’re tired.